From the shark-rich waters surrounding Coco Island, Costa Rica, to the iceberg-studded sea off Franz Josef Land, Russia, this incredible photographic collection showcases the thriving marine ecosystems that Sala is working to protect. 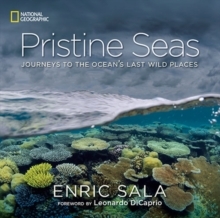 Offering a rare glimpse into the world's underwater Edens, more than 200 images take you to the frontier of the Pristine Seas expeditions, where Sala's teams explore the breathtaking wildlife and habitats from the depths to the surface--thriving ecosystems with healthy corals and a kaleidoscopic variety of colorful fish and stunning creatures that have been protected from human interference. 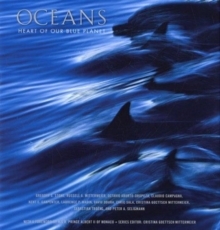 With this dazzling array of photographs that capture the beauty of the water and the incredible wildlife within it, this book shows us the brilliance of the sea in its natural state. Since 2005, Sala has been working to find, survey, and protect the last healthy, undisturbed places in the ocean from the Arctic to the South Pacific.